Split EL Tape By The Foot 4" Wide is now available in as much or as little as you like. 4" Wide Tape is a ton of light and a little really does go a long ways. Use it in conjunction with other widths for some outstanding effects. 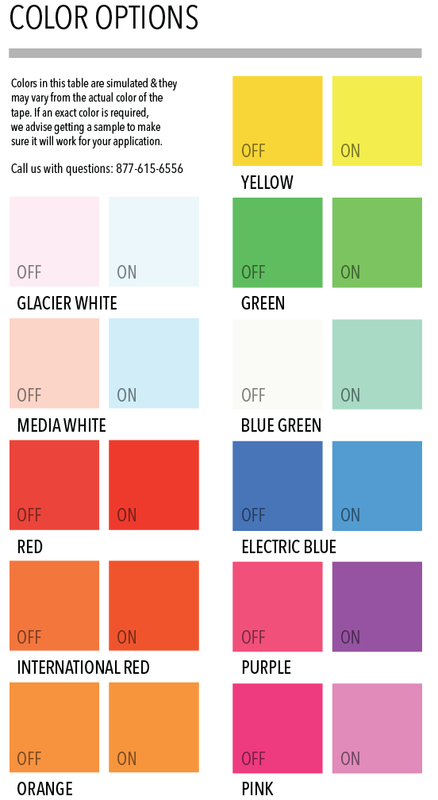 Also makes great signage, stage lighting, and more! This tape has been featured across Hollywood. Split EL Tape has a light output of about 30-35 Foot Lamberts which is about double the brightness over our previous version. 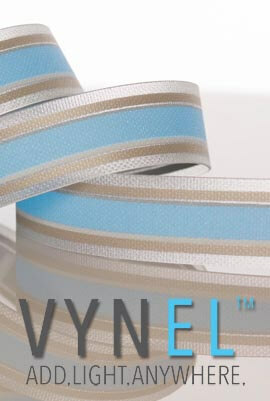 This tape is perfect for hallways, movie sets, bars, stair lighting, or to wear out at night to be seen. This tape runs off of a different frequency than our EL Wire Inverters and Battery Packs, so make sure you order either the correct Split 9V EL Tape Battery Pack or Split EL Tape Inverter. These specialized inverters runs off of a different voltage and frequency which allows a brighter tape, as well as longer battery life. Over time, your tape will last longer with our specially crafted inverters as well. The one downside is that our Split EL Tape Inverters do NOT work in conjunction with EL Wire. 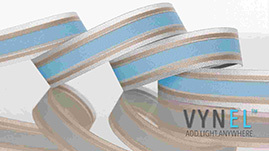 4" Wide Split EL Tape has a glowing surface of 4" and an overall width of 4.5". Please Note: EL Tape By The Foot Does Not Come With The Connection Made. The connection does require the use of a soldering iron. MAKE SURE TO GET A SPLIT EL TAPE INVERTER!! PARALLEL INVERTERS WILL MAKE YOUR TAPE 1/4 THE BRIGHTNESS. If you need a Molex Connection assembled for you please click here. Also check out our new Split Tape Connectors here!